This sample shows how to create an XForm object from scratch. You can think of such an object as a template, that, once created, can be drawn frequently anywhere in your PDF document. // share fonts and other objects with its target document. 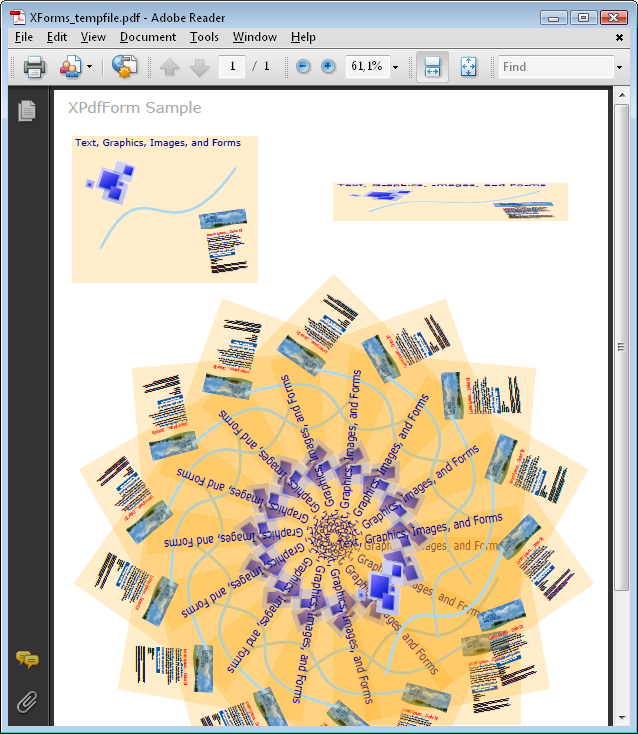 // Create an XGraphics object for drawing the contents of the form. // When you finished drawing on the form, dispose the XGraphic object.